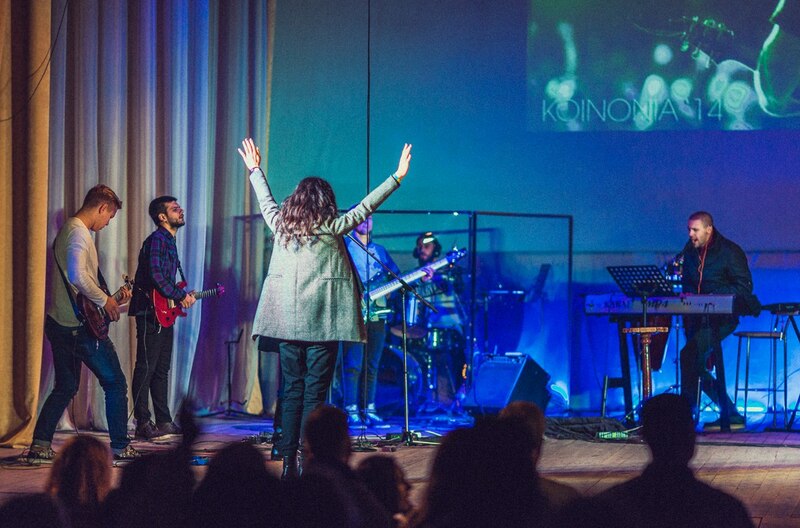 Wonderful God’s presence during Koinonia Youth Culture in Cherkasy. Worship audio is ready for listening and download. Like the sun that will rise, like the light that will break the darkness, let Your voice begins with me. Awakening. You are my ocean. I love you. The sun doesn’t shine without Your look. You are the only One I need. Seems like it is all good, I don’t need anything, but my heart dreams only about You. It misses You, feels You. I cannot without You. My heart screams. Intimacy with You covers me with the wave. Your intimacy – I run into the Father’s heart. Come out, Love, from inside of me. Come out, Love, I don’t hold you back. You hear, there is no fear in Love. There is no fear to fall down, no fear to stumble, because this is love, it always overcomes. There is no fear in love. Neither death, nor depth, neither death, nor height will separate Ukraine from Your Love. Ukraine is moved by Love. Ukraine is moved by You. What are you afraid of – God or pain? Open yourself up to Him. I am a flesh of Your flesh. I am blood of Your blood. I know that every pain and every wound is a medal for You, it is a reward for You. You melt my heart in fire. And You fill up every pain with the ocean. In spite of my wounds, in spite of the pain inside, my heart will worship and love You forever. I am Love. Eat Me. Drink Me. I will wash your feet, and you will have a part with Me. I am washing your feet so you would have a part with me. We are gathering the harvest and waiting for all the sons. Come! Come! Come! In mad tempo, in mad rhythm love is moving us.